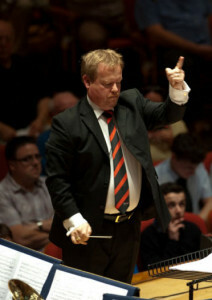 The British Open is believed to be the oldest music competition in the world, celebrating its 160th year in 2012. The contest has consistently maintained its traditions of excellence in brass playing of the highest standards. The best Brass Bands in Britain compete for the coveted British Open Champion title, including well known names such as Black Dyke, Grimethorpe Colliery, Cory, Brighouse and Rastrick, Fodens, and Faireys, which provides the audience with a fascinating and fiercely contested day of music . This year’s Test Piece is a new work commissioned by The British Open and the Dutch Brass Band Championships which is making its debut at Symphony Hall. The work has been written by internationally acclaimed British composer Dr Martin Ellerby and is entitled Elektra. The piece is loosely based on a play by Sophocles, The Electra Chord and also the Opera Elektra by Richard Strauss. The piece is in three movements, ‘Lust for Revenge’, which is highly rythmically charged, ‘Lament’ which is the lyrical centre of the piece, and ‘Dance to the Death’ which returns to the signature rhythm before reaching its finale.